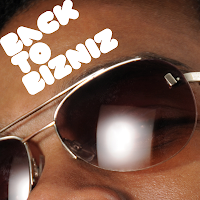 Off the record: Skatemaster Leroy: Back to Bizniz! This time our mysterious friend, Skatemaster Leroy, comes with a superb mix from the vaults of his vast vinyl collection... Soul, funk and jazz worlds are connected to provide you a groovy listening experience! Hope you enjoy it and don't forget... open up your heart to good music! Eh eh tens a tracklist por favor? A tracklist é para descobrir... Em conjunto. Ficamos à espera do regresso.